Now in its seventh year, the Sark Folk Festival is more popular than ever – if you gauge popularity by how quickly the tickets sell out then Sark is surely the most popular festival in the UK – less than an hour currently seems the par for them to be snapped up. We first visited the festival back in 2011 and shared a guest house with the larger than life Australian/Northern Irish duo Hat Fitz and Cara Robinson. 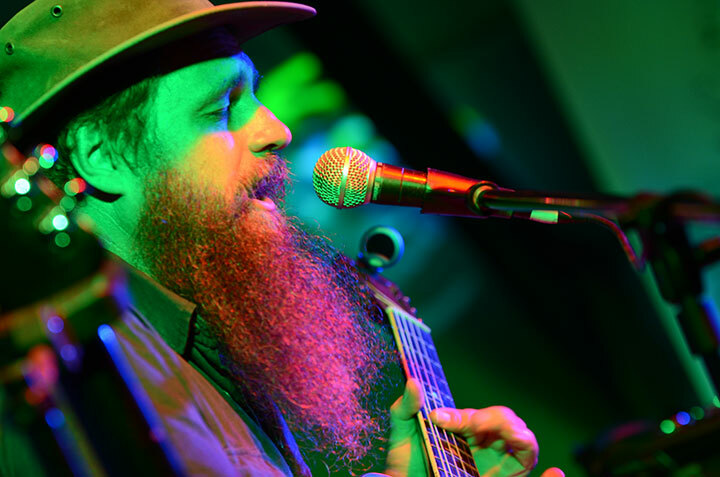 We were by turns awed by Fitz’s propensity for profanity and the duo’s sheer bloody musical brilliance (see how I started swearing as soon as his name was mentioned?). They returned this year, and whilst we didn’t share digs with them we were still in awe at their performance. More of that in a minute after the customary introduction to Sark (NB we don’t work for the Sark Tourist Board). The island is magical, if ever a place was made for a folk festival this is it, maybe Ireland matches it for pace and charm, but Sark has the unique caché of being a really tiny island, governed by its own parliament with its own set of laws based on Norman law. The only powered vehicles allowed are tractors, other than that transport is by horse or bike. There are a handful of shops, pubs and restaurants, it is quite telling that one of the biggest shops is a bike hire emporium. The population numbers 600, the festival triples that. The roads on the island are unsurfaced tracks except for one that runs the length of the island, surfaced in concrete, built by German POWs in 1945. The uniqueness of Sark’s government was brought into sharp focus whilst the festival was running this year; sadly the death of the Seigneur (the Lord) of Sark, John Michael Beaumont, O.B.E, was announced on Sunday 3 July. He passed peacefully at home at La Petite Seigneurie at the age of 88. As it is a hereditary title, it passes to his son Christopher Beaumont. This quirky and unique legal system, allied to the small size of the island allows nature to have a large hand in defining the character of the island. Freed from the relentless urban sprawl of identikit houses with brick paved front gardens and the sick glow of streetlights, Sark is a glimpse into a vanished past. Cottages peer at you from lush gardens or over the banks that flank the roads, topped by hawthorn hedges with dog rose writhing through, underscored with cranesbill and ferns. Fields are small and hedged, all of the shrubs and trees lean away from the prevailing weather that comes from the west. If you are a gardener you will walk about the island gawping at the wildflowers (Spring is apparently the best time to visit for the Flora), the walk up from the harbour is flanked by ferns, foxgloves and cranesbill under a lush tree canopy. I’ve planted a woodland border in my own garden under the shade of trees and an old wall, but it’s no where near as lush and luxuriant as this. Imagine the crinkliest bits of Cornwall allied to the rural charm of Herefordshire and you get close to Sark’s allure. 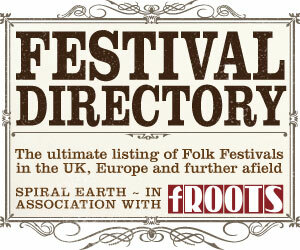 The actual festival is slowly evolving and developing. No need for huge changes as they essentially got it right from the get go, But each year sees a few tweaks here and there. Biggest change this year is in the second stages which get their own new double teepee, the atmosphere in here was wonderful, intimate, cosy and acoustically great. One criticism of the festival has always been that the crowd is really noisy, apparently it’s a Guernsey thing that they just keep rabbiting on through all the sets, fine when there is a big loud act on but not so great for an introspective solo artists. This new second stage had none of that so a warm intimate atmosphere prevailed. To be fair to the main stages, the bar is in the middle of them so there will be a inevitable amount of noise from the crush of punters eager for a pint. 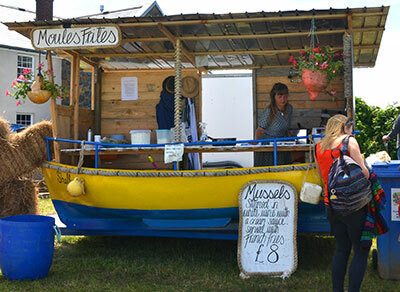 The food options are as good as ever, everything from a hot dog to fresh fish & chips and really fresh lobster; what other folk fest has a daily delivery of freshly caught fish and lobster on a tractor from the harbour? Everywhere you look you can see how the festival is contributing to the local economy, from packed guesthouses to the food and drink options all being locally sourced – it’s a heartening reminder that the festival scene is a booming part of Sark culture. The Channel Islands have a thriving music scene, which isn’t that well known outside of the islands, so this festival really does hold something different for the music fans that travel here. From the bluegrass of Clameur De Haro, the sea shanties of GU10, the ‘bubbly, happy music’ of Lighthouse or the ever popular Space Pirates of Rocquaine – there was something for everyone. 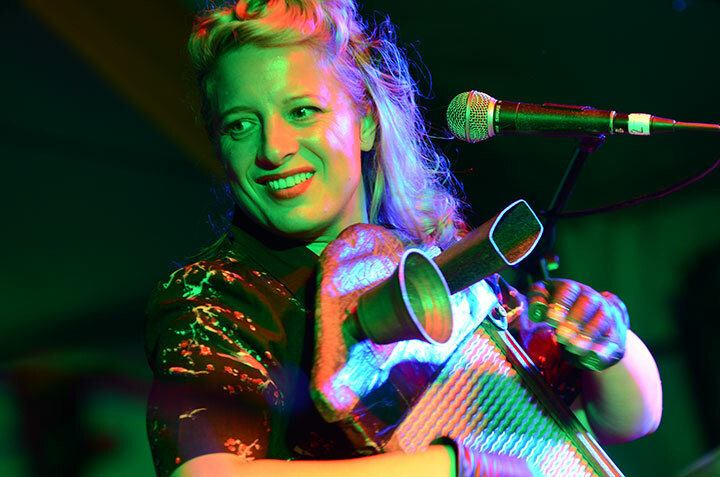 The headline acts included the ever exciting Monster Ceilidh Band, the irrepressible Sharon Shannon and crowd favourites Hat Fitz and Cara Robinson. O’Hooley & Tidow had a welcome return to Sark, with their latest album Shadows just going on sale it was a fantastic time to see them. This duo has always been top notch, but they seem to grow in sheer presence each time we see them. Other highlights for us were the Gren Bartley Band, Ross Couper & Tom Oakes and The Teacups – although picking highlights is hard in such a consistently good line up! So that is it for another year, the crowds disperse from the island, tents are removed and the horse gets the field back until 30 June to 2 July 2017.